This an interesting, innovative concept. 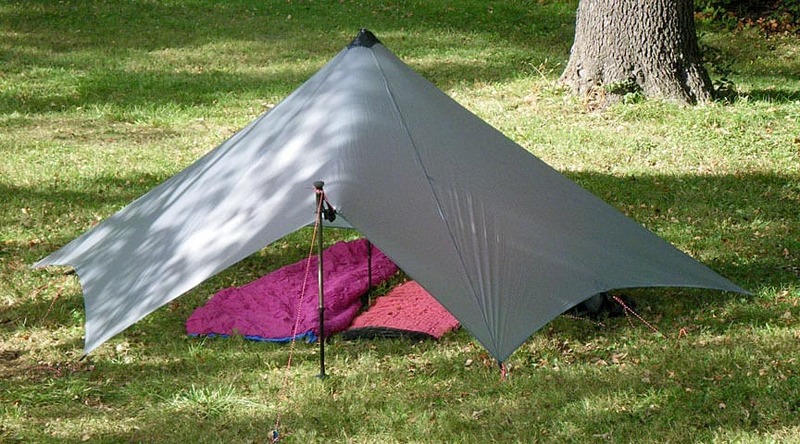 It provides a huge shelter area for a small weight spend (18 oz – 513g in Silnylon; 11oz – 313g in Cuben) . Could be good for a small group of hunters. I think you should consider one of these shelters and some kind of groundsheet (eg a mylar space blanket) anytime you are walking long sections between known shelters/huts – such as on the Dusky Track or walking to the lighthouse on Wilsons Prom & etc. Sometimes something goes wrong and you are not going to make it. If you have an emergency shelter, well you might be uncomfortable, but you are not dead! Each might also carry something like this: http://www.theultralighthiker.com/tarp-bathtub-groundsheet/ Every year in Fiordland folks die because they are not carrying a tent or shelter (there are huts to stay in, you see) – which is fine if you make it to the next hut. In often cold torrential rain, it is not so good if you don’t make it! (https://mountainlaureldesigns.com/product/trailstar/ Mountain Laurel Designs have a deserved reputation for quality products: we own a number of their products and are more than happy with them (eg Supermid Tent & Event Rain Mitts). On my wish list is one of their Exodus Packs (https://mountainlaureldesigns.com/product/exodus-57l/) with the addition of their Lightweight Suspension Upgrade (http://www.mountainlaureldesigns.com/shop/product_info.php?cPath=25&products_id=208) This would make an excellent pack for backpacking or hunting. Love your articles. Keep up the great work. Thank you Peter. I hope to. Very busy at the moment so am a little behind on my hiking stuff, but I will get there.